Having worked with the JPL for almost 40 years – where he specializes in the study of meteors, comets and interstellar dust – Dr. Sekanina is no stranger to celestial objects. In fact, his work includes groundbreaking studies on Halley's comet, the Tunguska event, and the break-up and impact of Comet Shoemaker-Levy 9 on Jupiter. His latest study, titled "1I/'Oumuamua As Debris of Dwarf Interstellar Comet That Disintegrated Before Perihelion," recently appeared online. In it, Sekanina addresses the possibility that the observations that began in October of 2017 by the Panoramic Survey Telescope and Rapid Response System-1 (Pan-STARRS-1) was actually a fragment of the original object that entered our system in early 2017. As he states in his study, this fragment would resemble "a devolatilized aggregate of loosely-bound dust grains that may have exotic shape, peculiar rotational properties, and extremely high porosity, all acquired in the course of the disintegration event." If this sounds familiar, it is because the description fits 'Oumuamua perfectly. 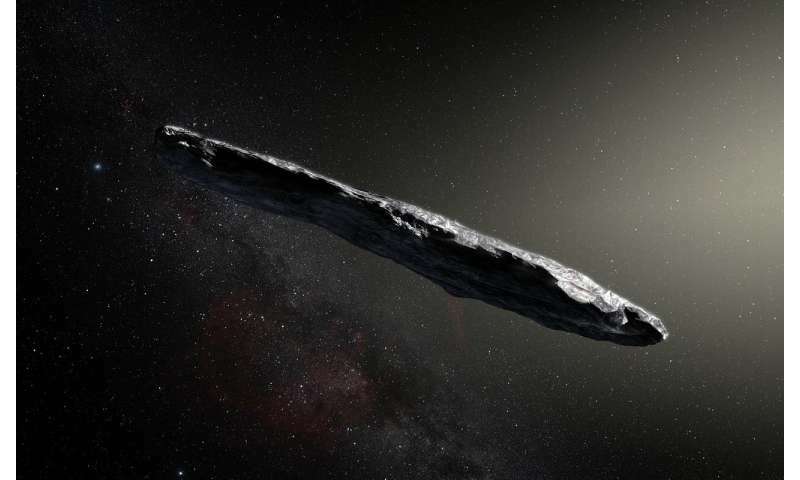 For instance, one of the first things astronomers determined about 'Oumuamua (aside from the fact that it was not likely to be a comet) was that it had a rather odd shape. 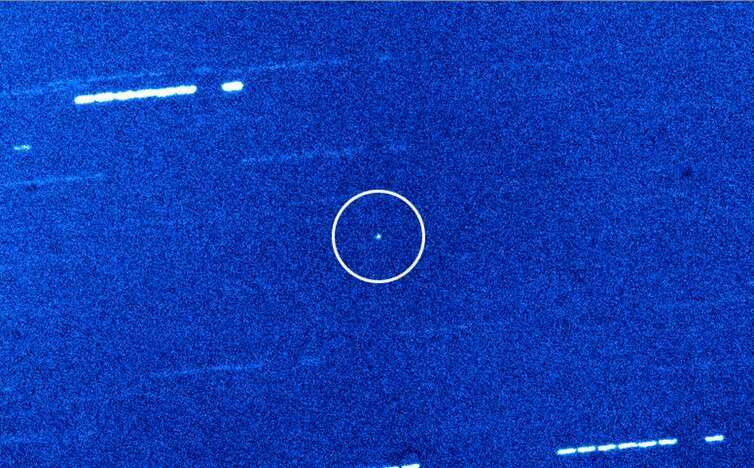 Based on readings acquired from the Very Large Telescope (VLT), a team of researchers determined that 'Oumuamua was an elongated object likely composed of rocky material. This was followed by a 2018 study by Wesley C. Fraser (et al. ), which found that unlike small asteroids and planetesimals in the solar system (which have periodic spins), 'Oumuamua's spin was chaotic. At the time, the team concluded that this was an indication of past collisions. But based on Sekanina's assessment, this could be the result of the original object's disintegration. Sekanina then drew comparisons with C/2017 S3 and C/2010 X1 (Elenin), two comets that experienced disintegration when they reached perihelion. In both cases, the disintegration of these comets involved an explosive event and the release of a "monstrous fluffy dust aggregate". From this, Sekanina deduced that 'Oumuamua would not experience outgassing and would be subject to the effects of solar radiation pressure. Once again, this is completely consistent with observations made of 'Oumuamua. As Prof. Loeb of Harvard University and the Harvard-Smithsonian Center for Astrophysics (CfA) noted in one of several research papers on the subject, the acceleration of 'Oumuamua as it exited the solar system could not be attributed to outgassing (as was previously suggested). Simply put, if 'Oumuamua's composition included volatile materials (i.e. water, carbon dioxide, methane, ammonia, etc.) like a comet, it would have experienced outgassing as it neared our sun, which would have been visible when it was detected after perihelion. However, this was not the case, which raised the question of how radiation pressure could be responsible for its acceleration. At the time, Prof. Loeb suggested that a possible explanation for this could be that 'Oumuamua was an artificial object, similar to the lightsail concept currently being developed by Breakthrough Starshot. But as Sekanina argues, this behavior could be the result of 'Oumuamua being of a class of previously-unstudied object that is subject to radiation pressure. Ever since questions began to arise about 'Oumuamua's true nature, scientists have emphasized the need for additional studies. Opportunities to do so could be coming very soon, since recent research has indicated that there could be thousands of interstellar objects that visited our solar system in the past and were captured by its gravity. Additional research has even located some objects that may be interstellar in origin. Dr. Sekanina agrees, stating that additional studies should be conducted that could place constraints on when and where the comet that gave birth to 'Oumuamua disintegrated. In so doing, we could possibly learn more about where this comet came from, and what conditions are like in its system of origin.